Welcome back to Aperture Science. We have been waiting for you. 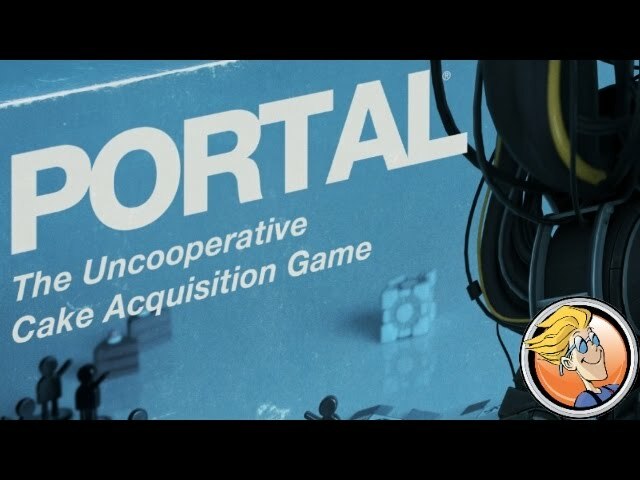 Designed by some of the original developers of the smash hit video game series, Portal: The Uncooperative Cake Acquisition Game is a fast, funny board game of trying to have your cake and prevent everyone else from eating theirs. As the board continuously changes from under your feet, you must herd, sorry, guide your test subjects to the areas with cake – then safeguard said cake before your pesky rivals can steal it from you! Buy Portal: The Uncooperative Cake Acquisition Game for a light game with gorgeous components and a funny old time with your old friends. And Cake.